Earlier this year, Microsoft announced its Xbox 360 holiday bundles, but 'tis the season of excess! Someone at Amazon appears to have jumped the gun, as a product posting reveals an unannounced Xbox 360 with Kinect Nike+ bundle, which begins shipping on December 4th. 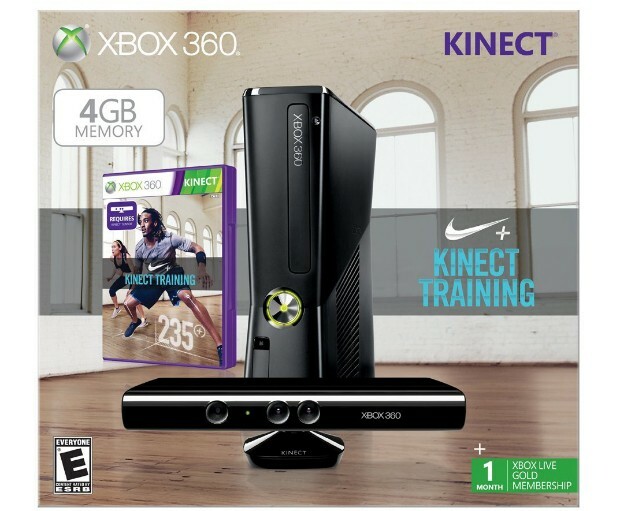 Priced at $300, this package includes a 4GB Xbox 360, Kinect sensor, Nike+ Kinect Training game and one month of Xbox Live Gold. Though the Amazon product page is listed as "by Microsoft," we still reached out to the folks from Redmond for confirmation and were completely stonewalled. Of course, if you're looking for an excuse to delay your new post-holiday fitness regimen, you could always take the gamble of waiting for this bundle to become official. Call us bonkers, but we're pretty sure that it's a safe bet.